"That's the new guy, he has a lot to learn." "A lot, a lot to learn." 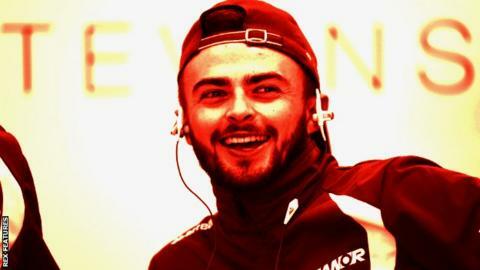 That was Fernando Alonso's radio exchange at the 2014 Abu Dhabi Grand Prix, when Will Stevens - making his F1 debut - refused to yield his position to the former world champion. For Stevens to take on a godfather of the sport in his first race in the sport certainly showed character. That character stood him in good stead for 2015, as he set about developing his craft in very difficult circumstances. Manor, the team he joined, were revived at the 11th hour from the collapse of Marussia, barely making it into the paddock for the first race of the season, and that lack of preparation meant Stevens had to make do with battling at the back of the grid, learning on the fly. Despite the situation he found himself in, Stevens did well, starting 17 races and retiring on just three occasions. With his strong Essex accent and love of wearing his baseball cap back to front, Stevens is a distinctive figure, at odds with some of the privileged, well-spoken drivers on the grid. Whether he will be alongside them once again next year remains to be seen, with Manor still to confirm their drivers for 2016. Having commendably navigated a tricky learning curve this season, if he is retained, Stevens will be able to show Alonso just how much he has learned.